The Importance of Puppy Food - Something New Everyday! Adding a young furry friend to the family is an exciting time. If you’ve chosen to buy or rescue a puppy as a companion, then you are in for an entertaining and enriching life together as you watch it grow into a dog. There’s a reason why this particular animal has been known as human’s best friend for millennia, and you’ll find this out as you form a relationship with your new pet. 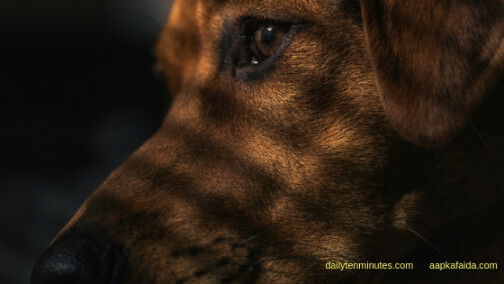 Dogs provide us with loyalty, friendship, and unconditional love. When you bond with your puppy, you’ll want to know that this little sweetheart will be with you for a very long time. That’s why it is so important to feed it nutritious ingredients in high-quality puppy food. It’s one of the best things you can do for your pup. When you buy puppy food, there are a few things you should check before making your selection. The food must offer balanced, highest quality nutrition that promotes the growth of muscle, bone, skin, and coat. However, your puppy is growing in other areas as well, not just physically. The ingredients should enhance your dog’s cognitive development too. There must be no empty calories in the food. Your puppy is an active four-legged fun-ball, and it needs every scrap of food it eats to be packed full of vitamins and minerals to promote strong and vigorous growth. These are the key ingredients your puppy needs to grow well, feel comfortable, and still have enough energy to run around and play. A bit of research will turn up plenty of information on what to feed puppies for optimum health. Your puppy will reap the benefits of having a predictable routine as this will help it learn how the household is run. If you follow the recommended daily feeding schedules and portions, your puppy will soon settle into a good routine. This is when you should think about introducing it to some training. A puppy thrives on the attentiveness of its owner. When you decide that it’s time for training, your undivided attention should be completely focused on your puppy. For the best positive reinforcement technique, you will need to give your puppy treats and rewards. This is not the time to introduce poor ingredients into your puppy’s digestive system. Ensure that the treats you provide for your puppy when it has been a good dog are as well-balanced and nutritious as its regular food. Training takes a while, and you may end up having to give your little companion quite a few treats to reward its behavior. Check that they are as tasty and beneficial as your pet deserves.